Depression is not merely the result of a chemical imbalance in the brain or the result of turbulent emotions. 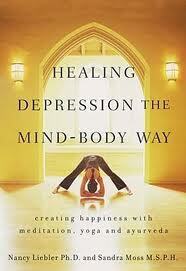 Mind-body medicine offers a common sense, yet totally ultra-modern perspective on depression. Join us as Nancy and Sandra build on the concept that the human physiology is an ecosystem. Accordingly, a stressor on any one aspect of the being affects every other aspect. Their mission is to assist people in untangling the root of the problem and plant seeds of vitality and happiness.